Scenic Hwy 30A in Florida's South Walton County is renowned as the most awe-inspiring 24 miles of scenic drives in the country. It begins just off Hwy 98 at Topsail Hill Preserve State Park in Santa Rosa Beach, following the coastline through Rosemary Beach ending again on Hwy 98. All through the drive, you will be able to soak in the views of the Gulf of Mexico's turquoise ocean while you enjoy the variety of popular beach communities lining the highway. Those who buy a home on Hwy 30A will enjoy this enticing drive with every coming and going. Homes come in every color from neon to pastel, from castles to cottages to high-rise resorts. Santa Rosa is the largest of the Hwy 30A beaches, touching the gulf along the highway and extending up to the Choctawhatchee Bay. A home in Santa Rosa Beach could be $150,000 inland or $6,000,000 along the beach or Bayfront. There are golf courses, state parks, historic areas, and modern shopping and dining complexes. Google named it the E-City of Florida in 2013. It is also the oldest of the beaches, founded in 1910, and credited as being the catalyst for the development of the other South Walton towns and communities. You will find condos, townhomes, beach houses, cottages, and mansions in Santa Rosa. It is a bustling commercial area as well, providing jobs and activities of every kind. If you prefer a larger town with never-ending entertainment possibilities, this is your beach town. The beach at Dune Allen is the last on Highway 30A, and offers the most pristine beach you will find. Homes here are large and impressive, centering around views of the Gulf Coast or the Santa Rosa Golf Course. Most are four and five-bedroom multi-storied contemporary homes with prices that start around $550,000 and go into the millions. Bird-watching, photography, and fishing are draws to this natural beach, with a few boutiques and restaurants to top off a wonderful day. Those who love the outdoors, biking and walking trails, tall trees and magical forests will find a happy home on Blue Mountain Beach. Point Washington State Forest gives this beach a wilder, back-to-nature feel. 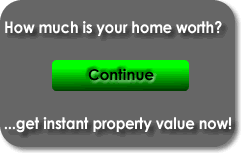 Homes here are large and exclusive, with even larger lots and prices. Privacy is the keyword here, perfect for celebrities and those who want to live away from it all. 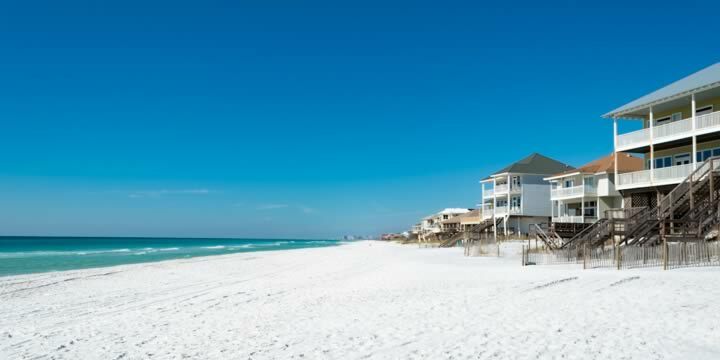 An address in this community will be set in Santa Rosa Beach. Grayton Beach was made for those who would rather hang out a sign that says "Gone Fishing". Grayton Beach State Park and Western Lake offer water sports for all and a more relaxed feel than most towns. Homes here are mostly the older beach houses on streets that are lined with mature trees for shade and maybe a friendly game of checkers to brag about "The one that got away". It is also a very dog-friendly beach, so your best friend can enjoy the sand and sea as well. If your idea of heaven is skimming along the beach on your bicycle, you will adore the extra-wide sidewalks and bike-friendly accommodations found in the little beach called Watercolor. This town specializes in the pristine beauty of natural greenery and lush foliage, having dedicated almost 500 acres to nature. That being said, it also offers some of the best restaurants and shopping to be had in the area. So get your exercise and fresh air before you dive into that sumptuous lunch or dinner, then pedal your way home guilt-free, and better for it. Seaside is next on the tour, with its cute coastal cottages and white picket fences. Travel and Leisure Magazine voted Seaside as one of the "Best Beaches on Earth", and families will flourish in the "Mayberry" atmosphere. Seaside's residents are proud of their little town and enjoy a strong community pride. Making your home in Seaside will bring you close friends and neighbors that make life worthwhile. After driving through the lakes and forests of Deer Lake State Park, you will find one of the oldest beaches along the highway, named for the live oaks, magnolias, and other lush trees that surround it, Seagrove Beach boasts more of the stately old beach homes than condos, and newer cottages preserve the old feel. Then, all of a sudden, a group of bright neon beach stores and restaurants invite you to stop and play in the 1960's, with eclectic boutiques and interesting stores to shop for unique treasures. Established in 1995, Rosemary Beach homes are most noticeable for the European influence. Like New Orleans, it has a "French Quarter" with flowery balconies, secret passages through gardens, and lush greenery in every corner. Shop the boutiques and dine on the quaint streets with wide sidewalks. Step into the past with all the comforts of the present in the homes of Rosemary Beach. If you would like to visit any of the communities along Highway 30A, let us take you on a tour to see the homes, condos, and scenery along one of Florida's favorite beach roads. Call us today.